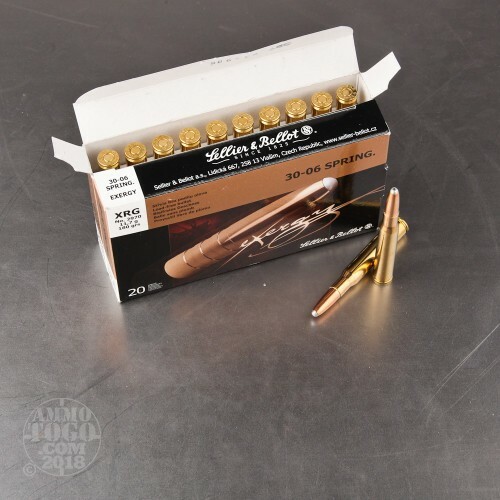 This is 30-06 Sellier and Bellot 180gr. 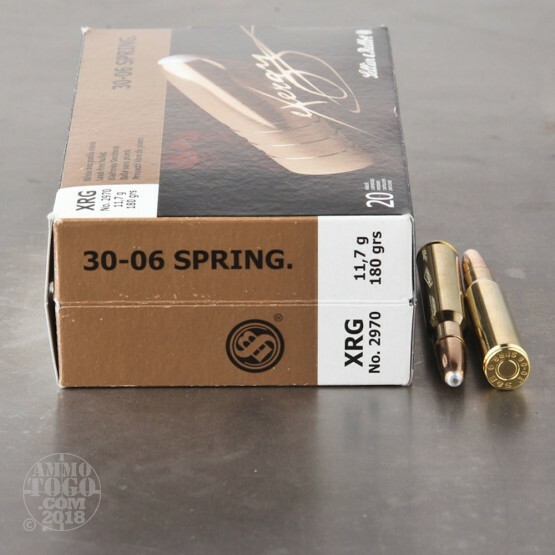 eXergy Capped Copper Hollow Point Ammo. 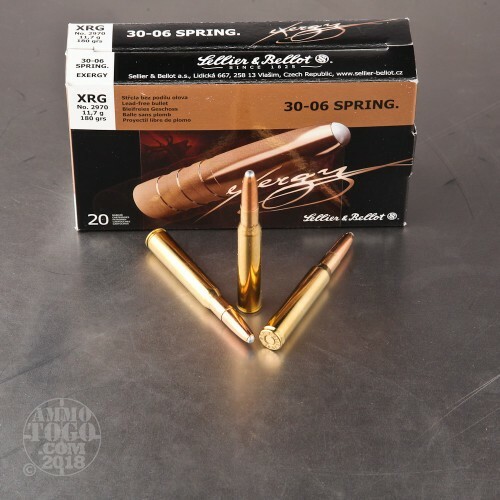 New from Sellier and Bellot, the eXergy ammo line was designed with the hunter in mind. 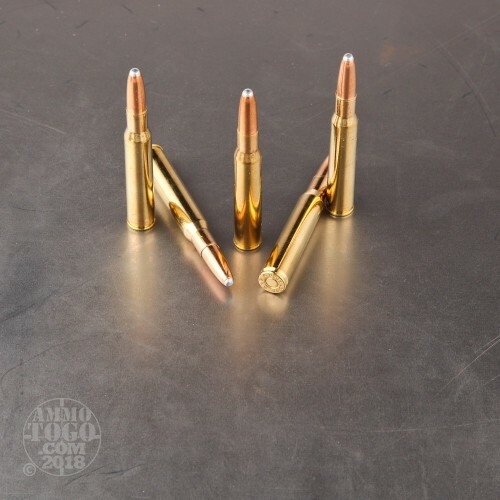 These rounds are loaded with the S&B eXergy projectile, a solid copper hollow point capped with an aluminum cap to increase aerodynamic efficiency and assist in projectile expansion. The round also complies with regulations restricting lead content in the projectile, as it is completely lead free. This ammo is brass cased, boxer primed, and non corrosive. It comes packed in 20rd. boxes. Muzzle Velocity: 2661 FPS.